The Derby/Shelton Rotary Club celebrated one of its best traditions – the annual Football Luncheon – for senior members of the Derby and Shelton football teams and cheerleading squads on Tuesday, Nov. 23 at the Russian Lodge in Shelton. And this year was special – Shelton was marking the year’s game as the 100th in the long rivalry which actually dates back to either 1904 or 1905 depending on whom you are talking to. The Rotary luncheon has not been around that long, but it does date back decades and follows similar type events held as far back as the 1930’s. Much of that history was celebrated at the luncheon. Both Shelton Coach Jeff Roy and Derby Coach George French spoke and introduced their players. However, the real highlight for the day was the speaking of the former members of each team who were the featured speakers. Both John Wetmore of Shelton and Dan Shea of Derby delivered nostalgic and motivational talks about their experiences, and ironically neither one won the game during their senior season. The game was surrounded by a lot of additional hype due to the 100th game atmosphere. Months earlier, there had been a reunion held for players who had participated in any of the games. On the day of the game football player alumni were recognized from both schools at halftime of the game. There was an alumni reception tent in the stadium where former players congregated and socialize during the game. 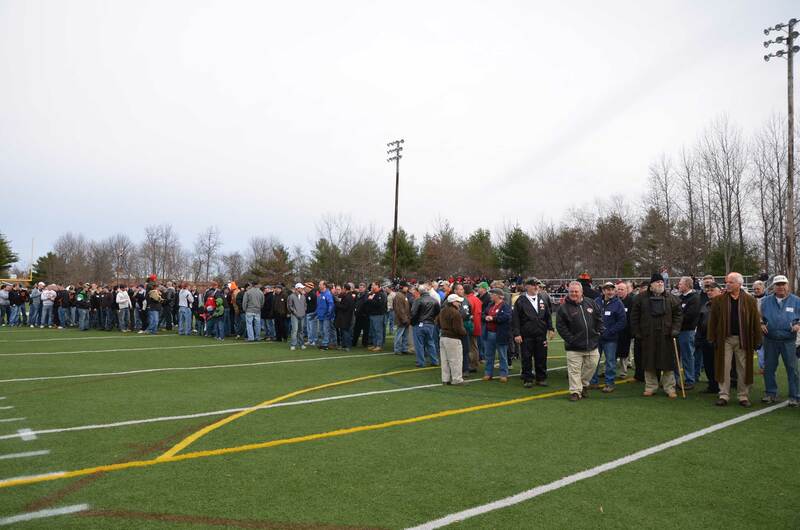 The initial coin toss took place at mid-field with dignitaries from both cities including the Mayors, School Superintendents, School Board Chairs, School Principals, and special for this year; former football players, Jim Braccnaro – Shelton ’40 & Frank Saldemarco – Derby ’39. Commemorative pins, t-shirts, and seat cushions were sold as mementos to the history of the rivalry. Both varsity teams entered the game with a 2010 season record of 5-4. 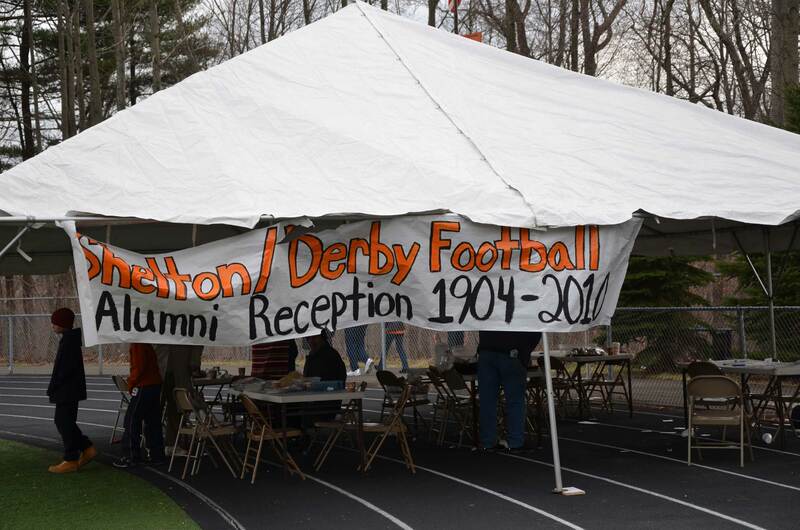 The overall rivalry stood at Shelton- 49 wins, Derby- 43 wins & ties- 7. The first game was played in 1904. Shelton head coach Jeff Roy and players are presented with the Derby/Shelton Rotary Club trophy by past presidents Steve Balog and Ed Sheehy, Jr. Interestingly, Balog once played for Shelton and Sheehy played for Derby.